Recently I read about athletes attending a 10-day Vipassana retreat because “mindful meditation is the newest fitness essential - that mental wellness discipline, loosely defined as actively practising acute awareness of the present moment - whether you are stuck in your cubicle, chilling at the beach or ploughing through a complex project - it isn’t just good for your brain, it is also great for your muscles!" Michael Gervais , a mindful-meditation expert, says it takes practice, like anything: “The natural state of our minds is like a drunk monkey: curious, easily distracted, a bit sloppy. When your mind wanders, just gently recognize that you are away from your breath and gently refocus all your attention back to your breathing - then the inhalation, the exhalation, the sensations of the body”. Yuval Harari stresses the importance of Vipassana (Insight) meditation to help us see reality more clearly; what is happening right here, right now, without trying to impose any story on it. He emphasises the importance of your breath, accepting the breath whatever it is, getting to know the most ordinary, natural patterns of the mind and body instead of tuning in to the fictionalised amusement park in our minds. In this regards,we are blessed to have two international teachers, Jonathan Preboy and Anna Scharfenberg, offering a weekend of Vipassana meditation, followed by 4 days of deepening one's meditation practice from 25 to 31 January. Don’t miss this opportunity to realise that Mindfulness is available everywhere, anytime, without limits or cost. The challenge is how to realise it for oneself. The answer was provided by the Buddha more than 2500 years ago making the practice of Mindfulness and Insight meditation fundamental to his philosophy. This Vipassana retreat is an invitation to the beginner and experienced meditators to practise Insight Meditation using the traditional Buddhist methods. For those of you who love to sit in our library at the BRC, you will enjoy the poem that Dorian Haarhoff has written. 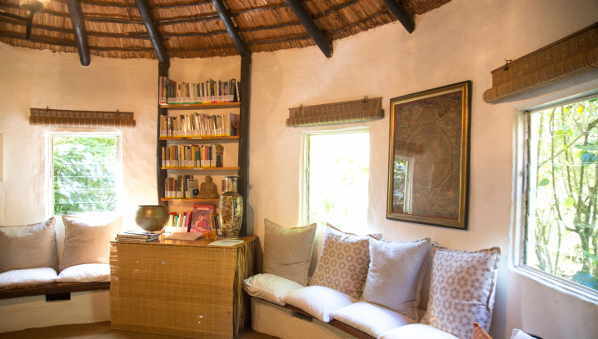 The room is the original wattle and daub rondavel that was constructed 40 years ago, which still stands faithfully. It has a certain ambience which Dorian captures perfectly. there is a third thing. Guess it. side by side with other images. a silken mandala opens her face. glide round a long-necked vase. into the heavens, point at clouds. this forest and hill place. clicks on with a finger flick. to light the hours of this world. rhythms of lung and pulse. chirps its wake up call. People often yearn for an opportunity to recalibrate their lives and to spend some time in quiet reflection among like-minded people. The BRC provides such a refuge: a beautiful natural environment of rolling hills and acres of indigenous forests where people meet to engage in a range of unusually interesting activities, from talks on Eastern and Western philosophy, psychology and science, to yoga and Buddhist meditation and art. Surely this should ease the most agitated mind? The February programme is all about healing and a journey to inner balance with reiki, yoga and meditation. The retreats invite you to celebrate the birds, bees, trees and wild flowers at the BRC and to learn about medicinal plants and their healing properties with a Sangoma; to reconnect yourself to nature so that you can reconnect with others and tune into the wilderness within. 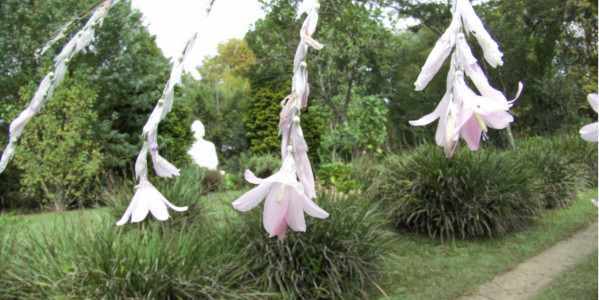 Or treat yourself to a Self-Retreat where you can wake up to bird song, walk in the mist, rake the sand garden, listen to the wind chimes or meditate in the Zen garden with the mossy Buddha. Enjoy a weekend in nature identifying some of the BRC’s 160 species of birds, including the rare Blue Swallow, and getting to know the indigenous trees and wild flowers. Included will be talks, chi kung and meditation. Participants will experience a traditional South African healing ceremony during which they will learn to connect to their Ancestors, Dreams and one another. Make “ Ubuntu” part of you life: “ I am what I am because of who we all are”. Through talks, meditation, group work, transformational exercises and relaxation, we will find our centre - our most natural and balanced state of being. We all have the ability to simplify our lives to find more meaning and purpose, and to find a deep sense of kindness and compassion towards ourselves and others. Geshe Lobsang will guide us through this transformative process. Reiki is the ancient Japanese technique for stress reduction and relaxation which promotes healing. Come and enjoy a revitalizing weekend of gentle yoga, breath work, meditation and reiki. Taking advantage of the natural environment of the BRC, we will explore the meeting place of the outer and inner worlds to uncover our connection with ourselves, all beings, the sun and moon and the stars. 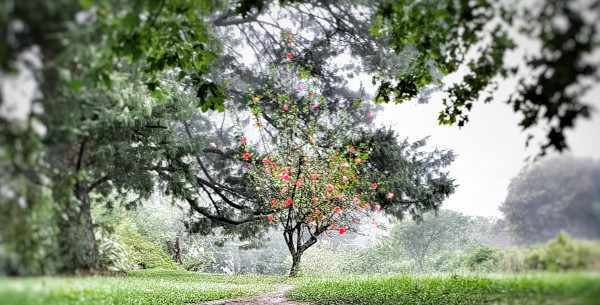 The retreat will combine meditation practice with silent contemplative walking in nature. Enjoy some “alone” time on a Self-Retreat in the beautiful, indigenous setting of the BRC with chi kung, meditation, communing with nature, and enjoying the delicious vegetarian food for which the BRC is justly renowned. 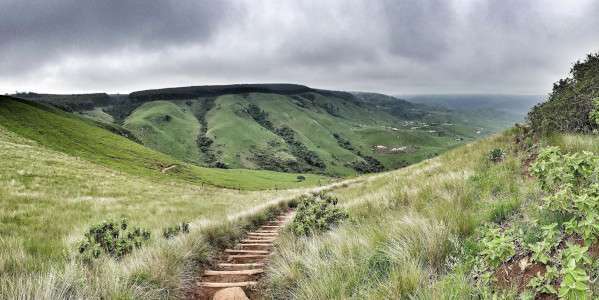 Perched on a ridge at the head of a valley in the Umkomaas river system in KwaZulu-Natal, the Buddhist Retreat Centre looks out on a vista of indigenous valleys, forests and rolling hills receding like waves in the blue distance. 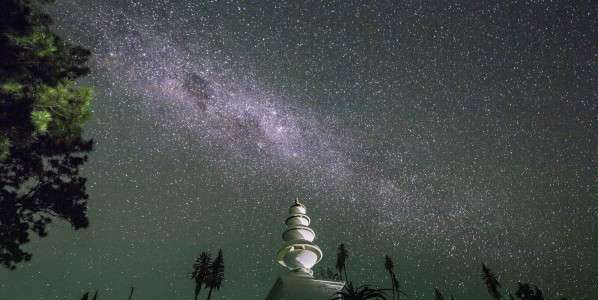 Here, for thirty-eight years, people of all religions and none have come to experience peace and tranquillity. It is a gentle, sympathetic space where one can be still and get in touch with oneself and reflect on the things that crowd one's life. CNN Travel awarded another feather in the BRC’s cap by voting it as one of the ten best spiritual centres in South Africa, recently. In 1989, the BRC was awarded Natural Heritage status by President Mandela for turning an eroded farm into the natural paradise it has become with 160 species of birds, including the Blue Swallow, otter, deer, antbear and indigenous forests. The Centre was also given the special status of “Custodian” of the Blue Swallow for its work in preserving the breeding areas of this endangered bird. The BRC facilitated the founding of Woza Moya, the community-based NGO, located in Ufafa Valley, eighteen years ago, on the estate. Their vision is for all people in the community to be healthy and productive, living in a safe and clean environment, with good access to services and social justice. The Centre continues to support the organisation in a variety of ways by contributing Dana, sponsoring their trainers', visitors' and Directors' accommodation, and showcasing and promoting their wonderful crafts in the shop such as the sock monkeys, cushions, bags, scarves, beanies and stationery. The Woza Moya Crafters are local women who receive ongoing training and support to enable them to create these unique and charming best sellers. This year as a result of retreatants' Dana (Generosity), the BRC was able to donate R18,000 to Woza Moyà to further enable their good work among the community. Become a friend of the Centre and find out more about the BRC's "Paid-Up-Yogi and Sangha Friends" projects all of which help to ensure the continuity of this non-profit organisation. Thank you for the abundance that has flowed to the BRC over these last months in the form of “Paid-Up-Yogis” and Sangha Friends’ contributions which have enabled us to refurbish the ladies and men’s bathrooms in the Lodge, tile the entrance to the dining room and install a tea station in the Lodge for those hot cups of milo on the cooler misty nights. We are grateful for the truck-load of indigenous trees, herbs, seedlings and plants, a new granite kitchen server, a new canvas parasol for the outside umbrella, kitchen utensils, garden tools, books for our library, beautiful beige towels, soft new pillows, Woollies duvet covers, a coffee plunger, a marvellous collection of illustrated books on the Sumie tradition, some of which have been long out of print, a beautiful silk scarf for Louis from Sikkhim to use during the Chinese tea ceremony, Elsa Pooley's book on flowers for the library, a generous donation towards installing LED lights to reduce our energy consumption and stunning photographs from Andrew Brown, Marc Kornberger, Tsunma Tsondru and Lennart Eriksson and "Fairlady" magazine featuring the BRC. Recently the Centre received a marvellous donation of tables, crockery, ceramics, pillows, cushions, curtains and lanterns, as well as boxes of seedlings, fruit, cheese and olives, two beautiful stone bird baths, a new fire pit for meditation under the stars and a new noticeboard. We welcomed a Bosch power drill, and the high-back oak chairs that now grace our meditation hall and a generous donation towards the re-paving of the entrance road to the BRC. We have been so touched by your appreciative letters, emails, support and friendship towards the BRC - your spiritual home from home. The "Buddha Buzz" is that we now have pure natural honey produced from the estate. The project started when Rob Pooley, an apiarist from Botha’s Hill, was consulted about the influx of bees into the buildings. He suggested placing catcher boxes to entice the bees away from the buildings, and to relocate them to an apiary site above the Deer Park. This worked remarkably well and over 40 hives were relocated to the apiary. However, the drought of 2015/2016 had a devastating effect and with a dearth of food, it led to a reduction of hives to 30. Good rains at the beginning of 2017/18 brought a wonderful resurgence to the flora, especially the Halleria Lucida (Tree Fuschia) which abounds at the Centre, and so far we harvested 450 kg of honey. Without the help of Colin and his staff during the drought in helping to feed the bees with a mixture of glucose and water, the results would not be so positive. May our bees remain happy and busy and may the honey flow. The Blue Swallows are back and have prepared a beautiful lined nest in one of the old ant-bear burrows which we have deepened. We were fortunate to spot a breeding pair on Stupa Hill, and hope to see chicks soon in the beautiful green hills of Ixopo.